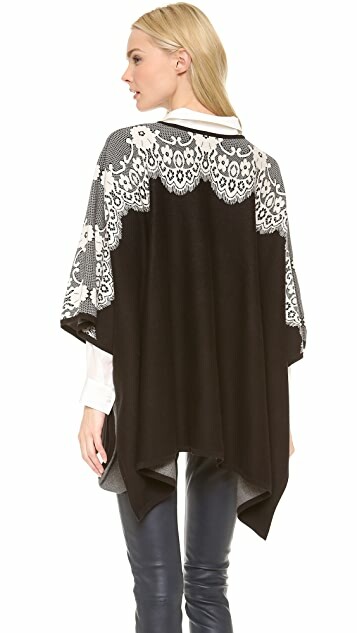 Patterned stitches create the look of eyelash lace on this ALICE by Temperley poncho, lending a delicate quality to the oversized silhouette. Side slits. After training at Central Saint Martins and the Royal College of Art, Alice Temperley founded Temperley London in 2000. ALICE by Temperley is her latest project. Launched in 2010, the brand was inspired by London life as well as the designer's travels in Asia and Africa. 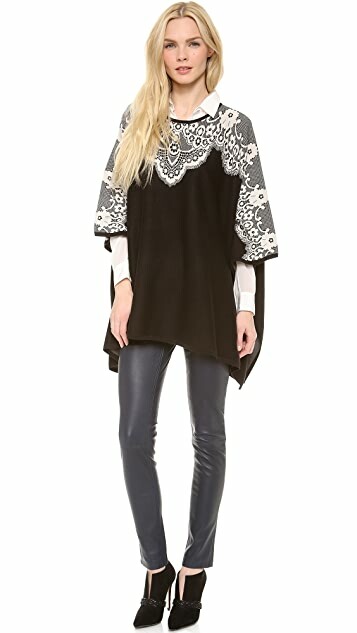 True to that inspiration, each piece is throw-on-and-go easy, but radiates eclectic rocker chic. 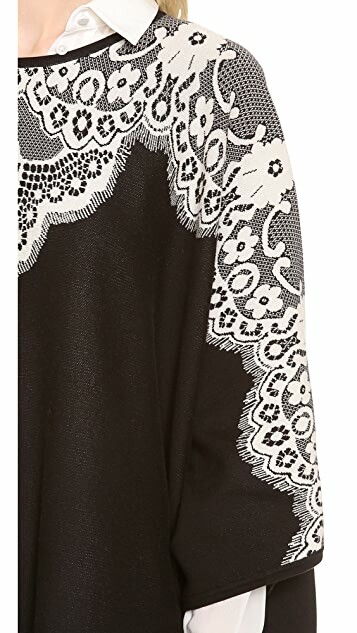 Says Temperley, "We tried to create the perfect wardrobe of things you can just throw in a suitcase and go." 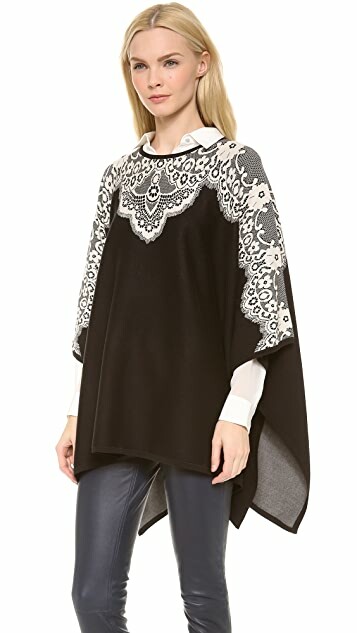 I always think that poncho is for old ladies with cats and knitting until i find this one. It's super cool, soft and cozy. No one can say it is old fashion. 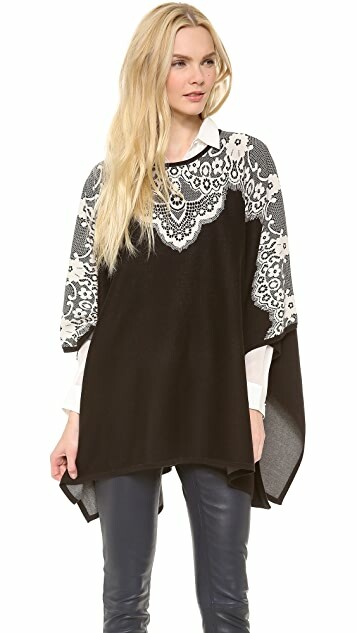 Goes perfect with leather skinnies or even jeans.